The geologic and geochemical analyses of sediments from Gale Crater by the Curiosity rover has given us unprecedented insight into the history of Mars and suggests a formerly habitable environment. This program is sponsored by the Clarke Forum for Contemporary Issues. 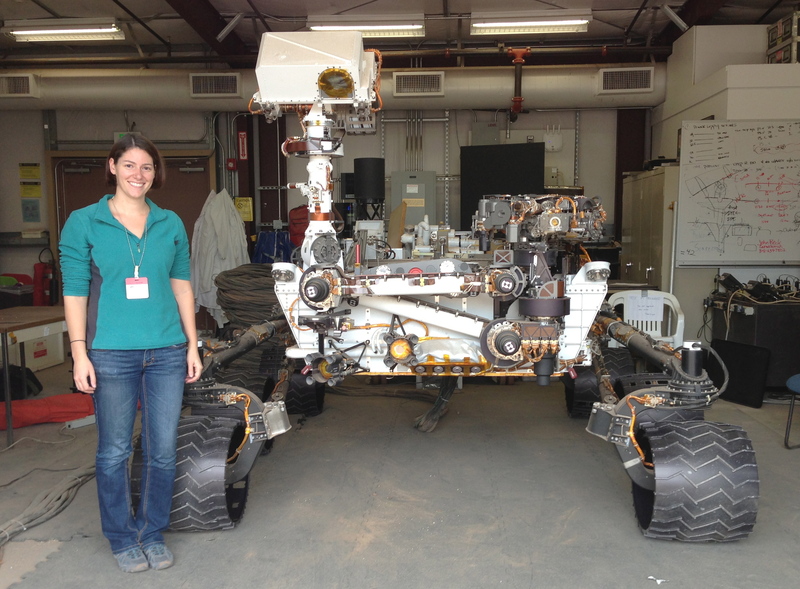 Dr. Kristen M iller recently concluded a postdoctoral position at the Massachusetts Institute of Technology working on mineral/organic interactions in Mars analogue soils in collaboration with NASA’s Mars Science Laboratory mission. Kristen earned a B.S. 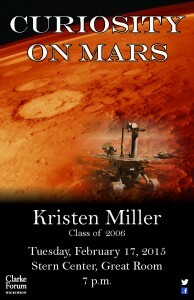 in geology from Dickinson College in 2006 and was the recipient of the William W. Vernon Prize for Excellence in Geology. While at Dickinson she completed a senior honors thesis with Professor Marcus Key on the use of oxygen and carbon stable isotopes from bryozoans as a proxy for sea temperature change. 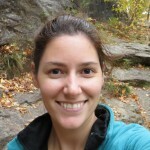 After Dickinson, Kristen went on to earn her PhD in Geochemistry from the University of Maryland College Park in 2012. Her dissertation focused on biological, chemical, and environmental responses to repeated glacial events as recorded by molecular fossils (biomarkers) and stable isotopes in an ~1 billion year old sedimentary formation from Brazil. 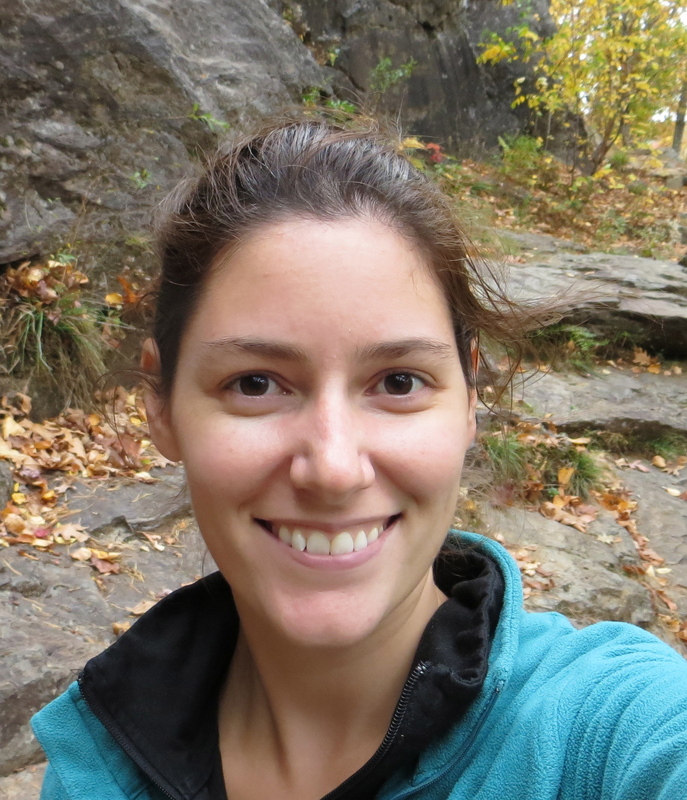 Kristen continued her research in the field of organic geochemistry at MIT when she accepted a postdoctoral associate position with Professor Roger Summons. 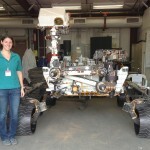 While at MIT Kristen collaborated on several projects involving the organic geochemical analysis of plant and animal fossils but her main focus was on providing scientific support for the Mars Science Laboratory Sample Analysis at Mars (SAM) instrument team. 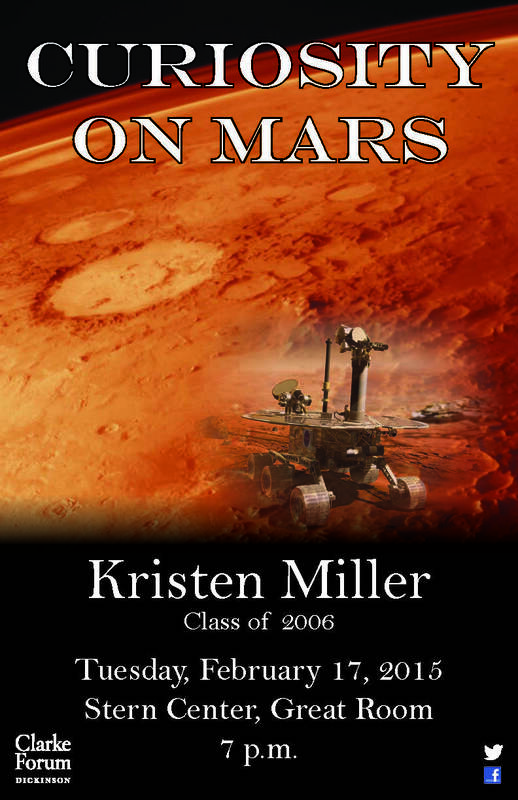 Kristen conducted experiments under SAM-like conditions using Mars analogue soils in order to better understand the possible carbon sources for organic compounds detected on Mars. The results of this work have been published in Science and the Journal of Geophysical Research: Planets. Kristen concluded this work in January 2015 and currently resides in Northern Virginia with her husband and daughter.